Watch out marketeers, digital signage is coming to town! 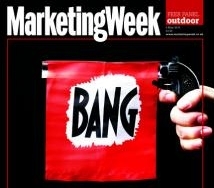 Are you a marketing and comms agency trying to innovate and make some money in the process? Then this is the article for you. What prompted us to write this article is the interest received from companies with a strong marketing and advertising background looking to enrich the range of services they offer and differentiate themselves from the competition. 1) Ease of use. As marketing geeks aren’t necessarily technology gurus, the last thing they need is a piece of technology that’s difficult to understand and even more difficult to use. Cloud- based digital signage in general, and digitalsignage.NET in particular, is a type of technology quick to understand and utilise. It’s like Facebook or Gmail that keep your data online and allow you to access and transfer it to and from any location with an internet access. You can manage one screen or tens or hundreds, the system remains easy to manage, especially from an IT perspective. ‘’Upload- Schedule- Publish’’ are the most important steps to perform in digitalsignage.NET to get your content up there and there’s not much to do besides this from a software perspective (to see all the steps, watch our webinar). 2) And speaking of content, digital signs leverage marketeers’ and creatives’ content creation skills while achieving their clients’ business objectives. Experience shows that the greatest challenge end-users encounter when is creating media that is suitable for the screen (in terms of specs) and do this often and cost-efficiently. For marketing agencies the problem is solved as they usually have the necessary skills in house to create beautiful, impactful content without any extra-costs. 3) It’s all about the money. Yes, marketing companies embrace digital signage because of its revenue generating potential brought about by its monthly/ yearly pricing model. Unlike websites, brochures, videos and other marketing projects that are one-off revenue sources, digital signage is, as industry experts often say, a ‘’beast that feeds on content’’ but one that generates money on an on-going basis if it’s well-fed and used. Display in Broadway Cinema. Content created by Review Systems and managed in digitalsignage.NET. 4) Costs are low. The required investment to make digital signage part of your portfolio is small and is getting smaller. The price of a digital signage software subscription, for example, that you need in order to be able to send content to the screens and manage the network can be as low as £18/month. If the environment and your client’s specific conditions allows it, you could buy a consumer display for £400-£500). The price of the solution isn’t prohibitive which makes it easy to ‘’sell’’ to your customers. 5) A risk-free endeavor. As all purchases are governed by the clients’ demand, all costs are passed on to them as well. There’s no reason to hold inventory (except for discount rate considerations). So the risk of not recouping the investment is minimum or, shall we say, almost nonexistent. This marketing channel’s ease of use and cost-efficiency have driven down the adoption barriers that once made it an exclusive tool reserved to big brands only. So honestly, there hasn’t been a better time for marketing agencies to ‘’jump in’’ and understand the technology that many SMB’s want to use but don’t know how. Funny enough, many enquiries we received were generated by the interest of a client that the company approaching us was trying to respond. To find out more about digital signage, feel free to contact us for a FREE consultation or download our white paper. To get started with digital signage, sign up to digitalsignage.NET for free (browse this website to learn more about it). 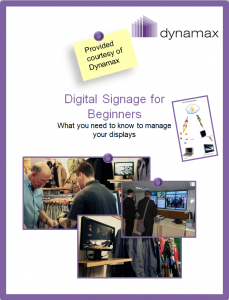 This entry was posted in Digital Signage, Tips and advice and tagged advertising, digital signage by Dynamax. Bookmark the permalink.